Circa 300 BCE - the kopis. A classical Greek sword designed for maximum chopping impact. The relatively short length allowed for use in tight formations, splitting the helmet and shields of the enemies of Greece - mostly Persians, and other Greeks. Isn't the history of mankind and warfare wonderful? 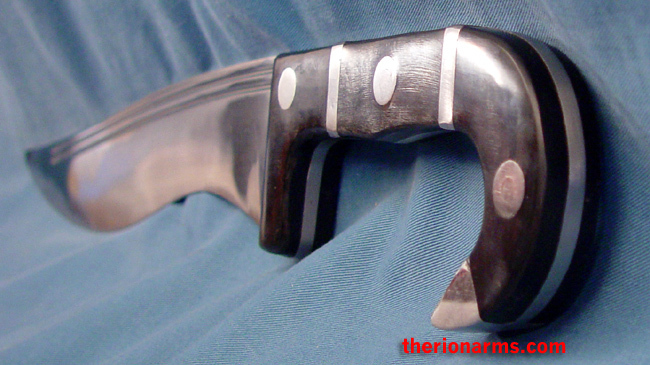 The fullered blade of this modern reproduction of an ancient weapon is high carbon steel. 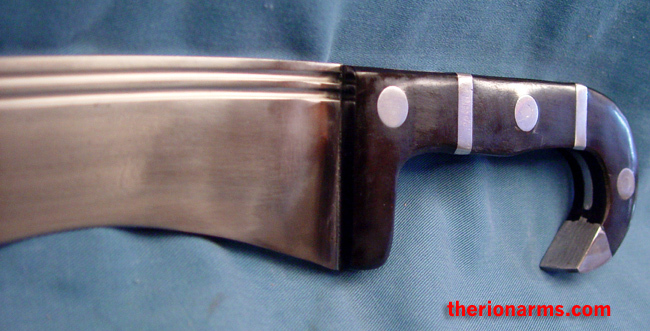 The grip is polished buffalo horn scales riveted to a full profile tang with steel fittings. This kopis comes with leather scabbard with adjustable straps that can be tied either as a baldric or as a belt (baldric style was the traditional carry/wear configuration).